.Adler M (1990) The ABC of Sexually Transmitted Diseases, 2nd edn. London: BMA Publications. Arnold E (1990) Modern vaccines. London: Lancet Publications. Bannister B (1983) Infectious Diseases. London: Bailliere Tindall. raude AI (1985) Infectious Diseases and Medical Microbiology, 2nd edn. Philadelphia: WB Saunders. Cook GC (1988) Communicable and Tropical Diseases. London: (Mainstream Medicine series). Heinemann Medical Books. Department of Health Welsh Office, Scottish Office Home and Health Department, DHSS (Northern Ireland) (1992) lmmunisation against Infectious Disease. Farthing MJG (1990) Balliere’s Clinical Gastroenterology. Virus Infections of the gut and liver. London: Bailliere Tindall. Fields Virology (1990) London: Raven Press. 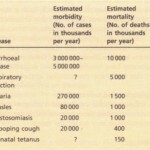 Field M (1991) Diarrheal Diseases. New York: Elsevier. Gracey M & lAD Bouchier (1993) Bailliere’s Clinical Gastroenterology. Infectious diarrhoea. London: Bailliere Tindall. Peters W, Gilles HM (1989) A Colour Atlas of Tropical Medicine & Parasitology, 3rd edn. Netherlands: Wolfe Medical Publications Ltd.
Youmans GP, Paterson PY & Sommers HM (eds) (1985). The Biologic and Clinical Basis of Infectious Diseases, 3rd edn. Philadelphia: WB Saunders. 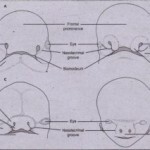 Zuckerman AI, Banntvala JE & Pattison JR (1990) Clinical Virology. London: Wiley.